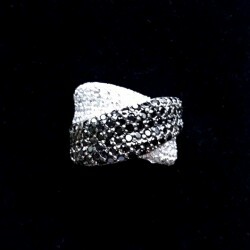 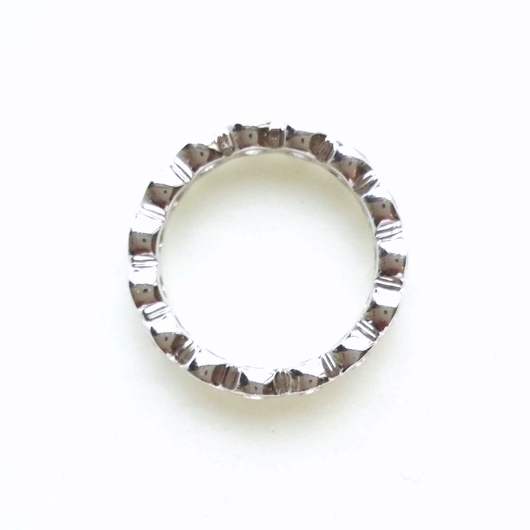 Circle band ring zirconia Sterling Silver. 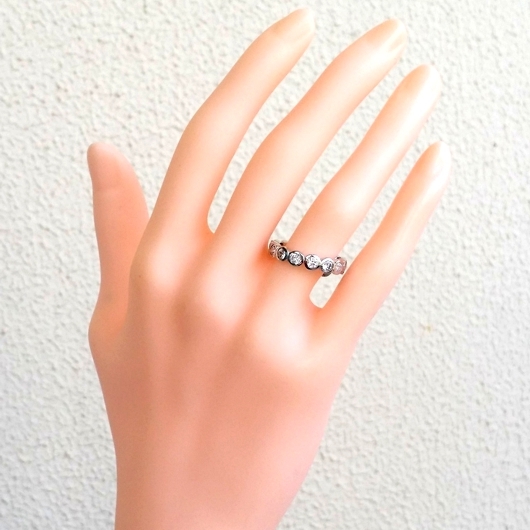 Eternity ring design. Circle band ring zirconia Sterling Silver. 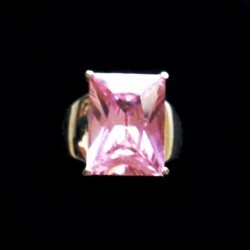 Features 14x 3mm brilliant cut sparkling zirconia. 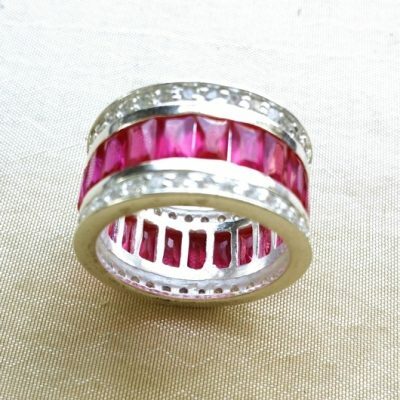 Size: M or 6, Inner band diameter 16.5mm.